The musicians of the Royal Italian Opera Orchestra in 1847 included some of the best players in Europe. 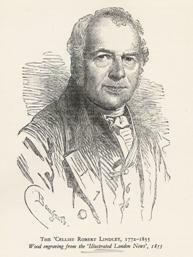 Apart from the two flautists there was the cellist, Thomas Lindley (1772-1855), a Yorkshireman who stuttered badly and played in most other London orchestras, King’s Theatre, the Philharmonic and provincial musical festivals alongside the famous Bass player Drogonetti. In the 1850’s and 1860’s Piatti and Bottesini would replace them at the Royal Italian Opera and elsewhere, the latter playing on his three stringed instrument. 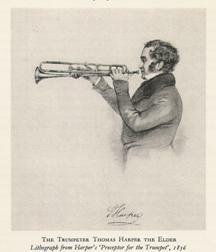 From about the 1820’s Thomas Harper played the trumpet in all the best London orchestras and at all the provincial musical festivals. He was acknowledged by a number of critics as the finest trumpeter of his day. He wrote his ‘Preceptor for the Trumpet in 1836. The ophicleide player in the orchestra was a Frenchman named Prospere who after an adventurous career in French Army bands became a star soloist at Jullien’s concerts playing his large sized instrument. According to Carse, he could make it coo as gently as any dove. The timpani was played by Thomas Paul Chipp who also performed at the Philharmonic and almost every other London orchestra until about the 1860’s. These are but a few of the great instrumentalists of their day. Many other orchestral musicians who have not been named or cannot now be named, made up the corporate body of the orchestra and gave it an identity. Their conductor, Michael Costa secured discipline and efficiency but the orchestra could hardly be regarded as his and his alone. All the London orchestras at this time were drawn from a common pool of players and didn’t really exist as separate bodies. However the exception was August Mann’s permanent orchestra at the Crystal Palace. They gave daily performances and their Saturday Afternoon Concerts were world famous.